Special services operate from LR Shek Pai Stop to Sheung Shui Station every 15 min between 06:30 and 08:30 daily. Special services operate from San Wai Court to Sheung Shui Station with 12 departures between 07:30 and 08:30 on Mondays to Saturdays (except public holidays). Special services operate from Po Tin Est to Sheung Shui Station with 7 departures between 07:30 and 08:30 on Mondays to Saturdays (except public holidays). 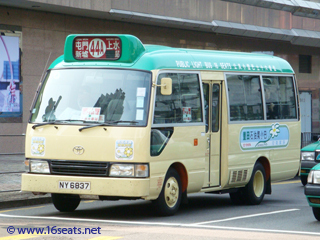 Special services operate from Tai Hing Police Station to Sheung Shui Station with 3 departures between 07:30 and 08:30 on Mondays to Saturdays (except public holidays).